Welcome to MyAppuccino, an amazing new and unique system to create apps. 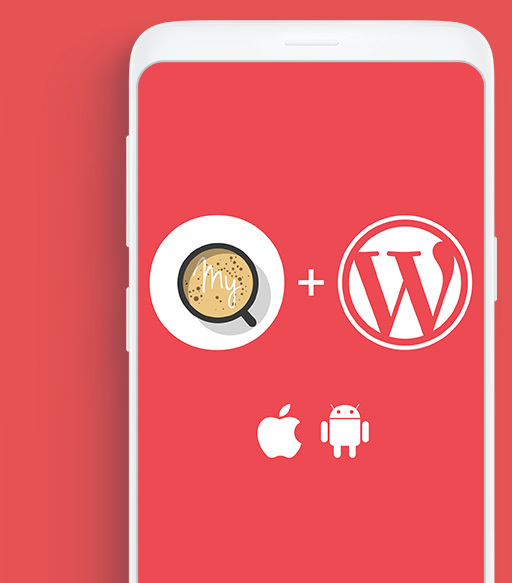 Using the power of WordPress you can now create apps for iOS and Android significantly reducing cost and development time. Developers can now create, review and publish apps using our WordPress plugin. Instantly update your apps, build your own themes and plugins or purchase from our online marketplace with 24/7 support. Reduce your app development time from months to days when you choose MyAppuccino. Build for iOS and Android at the same time. Benefit from huge cost savings with no need for expensive platforms or servers. MyAppuccino. Creating apps in an instant. Sign up for your free MyAppuccino account and check out the How To guides. Create your app using our themes and plugins or build your own. Take a look at your work in our preview app. When you pay the one time fee you’ll be able to package your app using MyAppuccino. Publish your app to Google Play and the App Store. Review, revise, update and maintain. Get ready for MyAppuccino, a complete game changer in the world of app development. MyAppuccino allows you to create apps for Apple and Android at the same time and significantly reduce your costs. Say goodbye to expensive app developers, systems and infrastructure. Using WordPress you’ll also be able to easily update your app and cut down production time from months to weeks and weeks to days. MyAppuccino is unique, you won’t find it anywhere else and no other system does what this does. Essentially, MyAppuccino is an engine which takes your data, processes it and produces a fully formed app. It has been constructed using the WordPress format. It’s not a wireframe, drag and drop, one size fits all, WIX for apps system. It’s a flexible tool for professionals that finally puts cost effective app creation into the hands of the next generation of developers. We’ve included ‘how to’ guides, tutorials and videos to get users up and running and offer 24/7 support online. There’s even a preview app so that developers can preview their work before publishing. Once published users can change the content, update the app and revise the design without republishing and without additional charges. If you’ve got a WordPress website these updates can be tied in with your website changes. There’s no expensive platforms or specialist server requirements. Using the familiar interface updates can be made by anyone familiar with WordPress. It’s GDPR compliant and as you host your app all your data is in one place and you’re in control. MyAppuccino doesn’t have to store or see anything. Your app is infinitely expandable and you can build your own plugins or purchase from our online marketplace. Similarly the design and layout of your app is up to you using your own themes, one of our standard templates or purchase from our online store. Let the MyAppuccino team design and build your app, saving you time and money. MyAppuccino can build your app for you quickly and at a fraction of the cost you may expect to pay.